ROCKWALL, Texas, January 17, 2018 – Columbia Commercial Building Products (CCBP) announced that it has appointed Antonio Aftimos as vice president of sales and marketing. In his new role, Aftimos will be responsible for leading CCBP’s sales, estimating, and project management personnel, and for integrating with the sales teams across Consolidated Glass Holdings’ (CGH) family of companies. 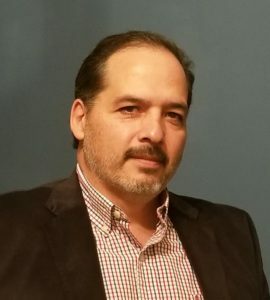 Aftimos has more than nine years of experience in the glass industry, having previously served as director of sales at Cristacurva, from January 2009–December 2017. Columbia Commercial Building Products (CCBP), part of Consolidated Glass Holdings, Inc., is a leading manufacturer of insulated, tempered, and heat-treated glass, as well as Invisiwall® glass systems and high-performance aluminum storefronts and commercial windows. For more information, please visit www.ccbpwin.com.